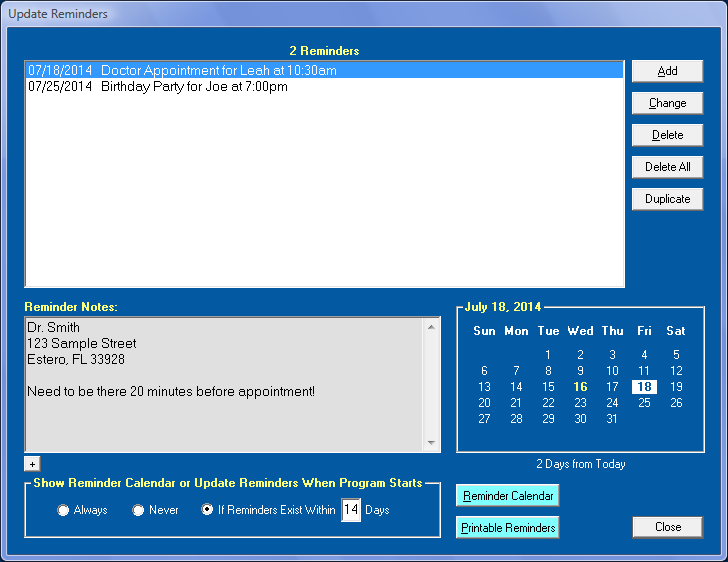 Click on the toolbar or select 'Reminders' from the Features Menu to display either Update Reminders, Reminder Calendar, or Printable Reminders depending on which was the last screen displayed. 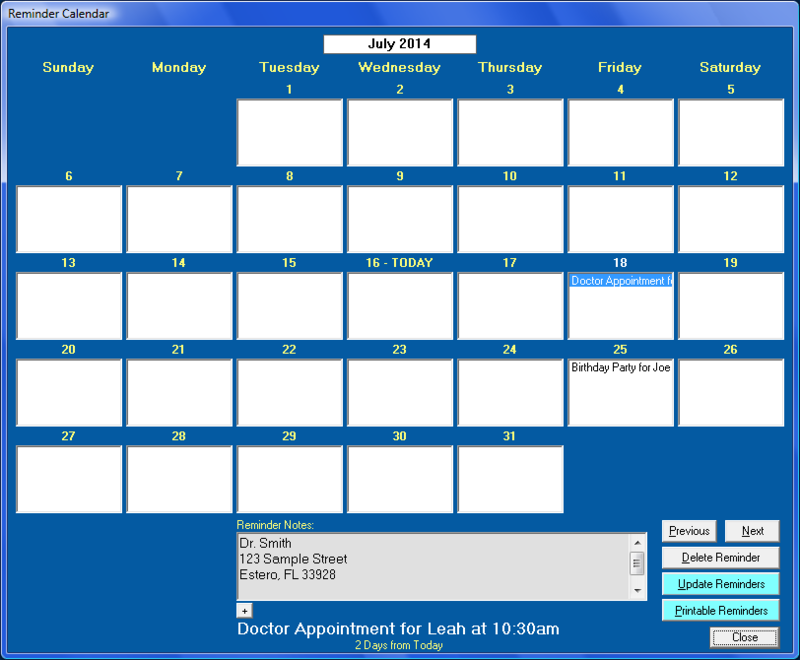 Reminders can be added for appointments, special occasions, paying bills, or whatever you want. When the program starts, the daily reminders can be displayed. Consider adding EZ Home and Office to your Windows Startup folder so when you start your computer, EZ will start and show your daily reminders if you want. See Windows Help on how to add a program to the Startup folder.